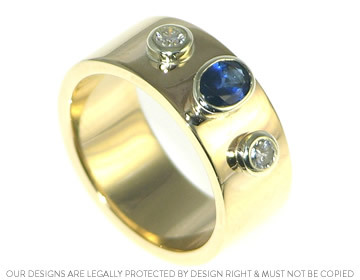 This bespoke 9ct yellow and white gold dress ring incorporates our customer's own 0.42ct oval cut blue sapphire and two round cut diamonds totalling 0.15ct. 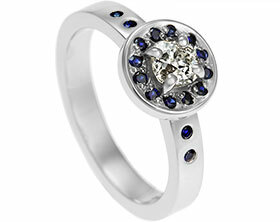 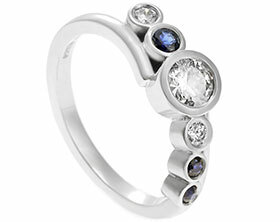 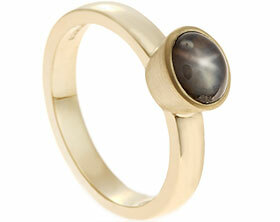 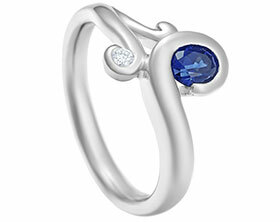 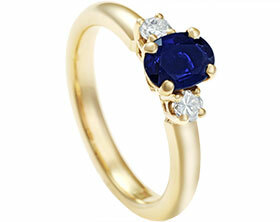 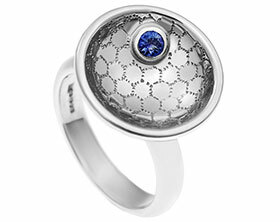 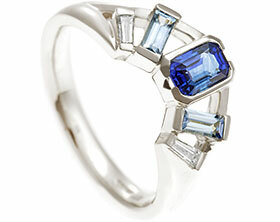 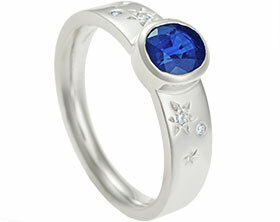 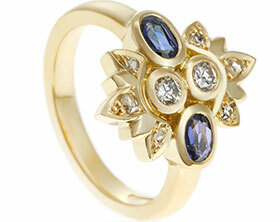 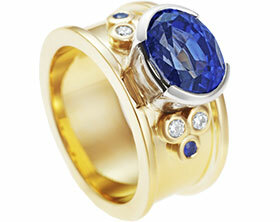 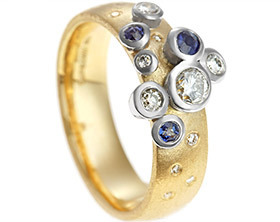 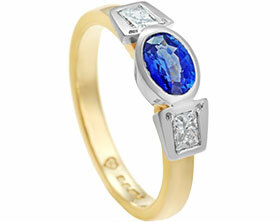 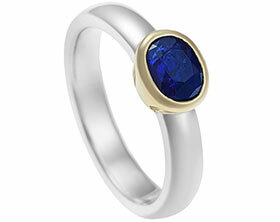 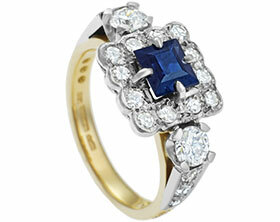 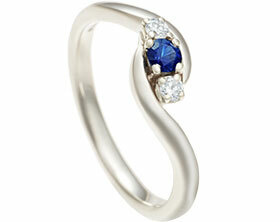 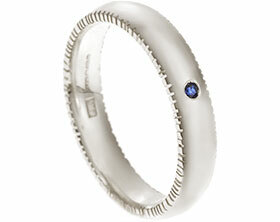 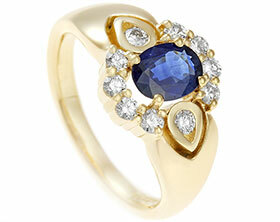 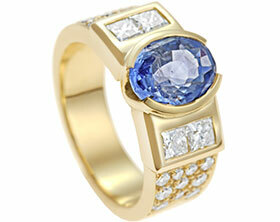 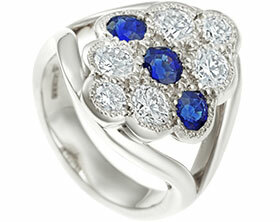 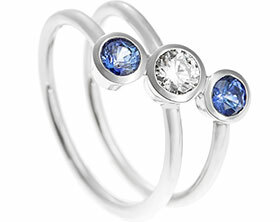 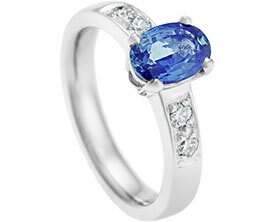 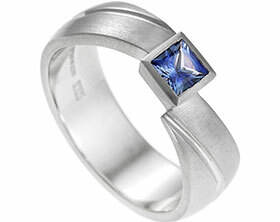 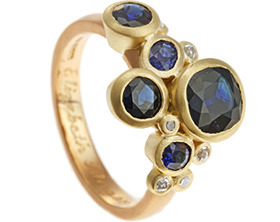 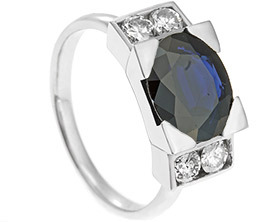 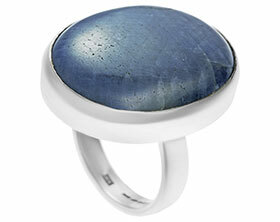 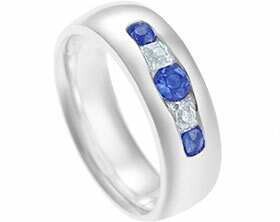 Each gemstone has been all round up over set in 9ct white gold. 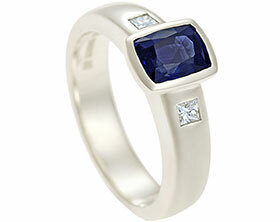 To finish the 7mm wide, flat profile ring has been polished to a high shine.